NBCC, a Navratna PSU, under the Ministry of Housing and Urban Affairs (MoHUA), has implemented and handed over the NABARD regional office building project at Salt Lake in Kolkata. Delivered in a record time of 24 months the building was inaugurated by NABARD Chairman Dr. Harsh Kumar Bhanwala. state-of-the-art conference room and an auditorium along with premium office spaces, the building will function as the hub of all regional activities of NABARD," the real estate wing of the Ministry of Housing and Urban Affairs said in a statement. A preferred partner of the Government of India, NBCC has a repertoire of constructing state-of-the-art office buildings like the headquarters of the NIA and CBI, the new headquarter of Central Information Commission (CIC), and the Bangladesh Bhavan at the campus of Visva Bharati University. This apart, it is also working on landmark projects like redevelopment of Pragati Maidan in Delhi and the Twin Trade Tower in Guwahati. The state-run organization has executed projects of diverse nature in Libya, Iraq, Yemen, Nepal, Maldives, Mauritius, Turkey and Botswana. Recently, NBCC secured projects across African countries of constructing nine Mahatma Gandhi International Convention Centres (MGICC). NBCC (India) Ltd is a Navratna enterprise under the Ministry of Housing and Urban Affairs. Certified with ISO 9001:2015 from the Bureau of Indian Standards in respect of Project Management and Consultancy, the company’s present areas of operations are categorised into three main segments: Project Management Consultancy (PMC), Real Estate Development and EPC Contracting. The company is listed with both the Stock Exchanges since 2012. 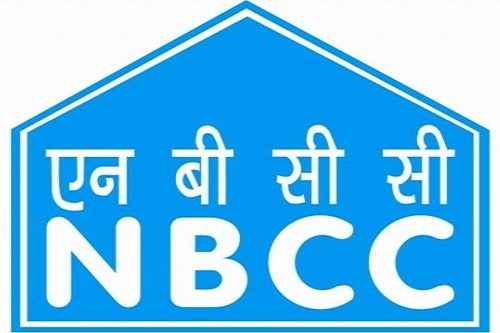 With consolidated revenue of Rs 7,096 crore (FY 2018), NBCC has been growing with a consistent upward trajectory of 20 per cent CAGR in the past five years. The company’s unique business model has today makes it stand out as a leader in its own right in the construction sector with more than Rs 80,000 crore order book in hand. Will BSNL, MTNL turn profitable? Seventh Pay Commission: What PSU employees can hope for? Click at the photo to know more about appointments in CPSEs. Chhattigarh's wonderful journey during the last 14 years, and counting. Click at the photo to know more about the state and its achievements. When will government implement the second pay revision committee’s recommendation for CPSE employees? Simple theme. Theme images by Dizzo. Powered by Blogger.